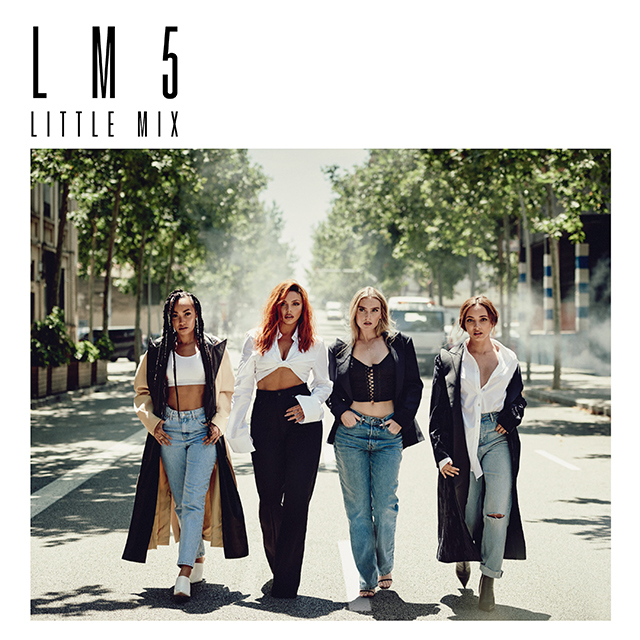 Little Mix will release their fifth studio album LM5 on 16th November 2018. The news comes just days after the group debuted their new single Woman Like Me featuring Nicki Minaj. For the album Little Mix have been working with writers and producers such as Ed Sheeran, Jess Glynne, Camille Purcell, MNEK, Timbaland and RAYE. LM5 has been labelled by Little Mix as ‘the album we always wanted to make’ and it’s the follow-up to 2016’s Glory Days, their biggest-selling album yet. Fans got a first taster on Friday with the release of the reggae-pop track Woman Like Me, which has hit number 1 on iTunes around the world. The video for the track is expected to debut very soon. Little Mix – Perrie Edwards, Jesy Nelson, Leigh-Anne Pinnock and Jade Thirlwall – are the biggest girl band in the world right now. With over 45 million records sold worldwide, the group has achieved four number 1 singles, four platinum-selling albums and nine platinum selling singles. The group rose to fame on The X Factor where they were formed during Boot Camp. Their last album Glory Days is the biggest-selling album by a female group this millennium in the UK, alongside being named the longest-reigning Top 40 album for a girl group ever.